These Savory Potato Aebleskivers are potato pancakes like you’ve never had before. 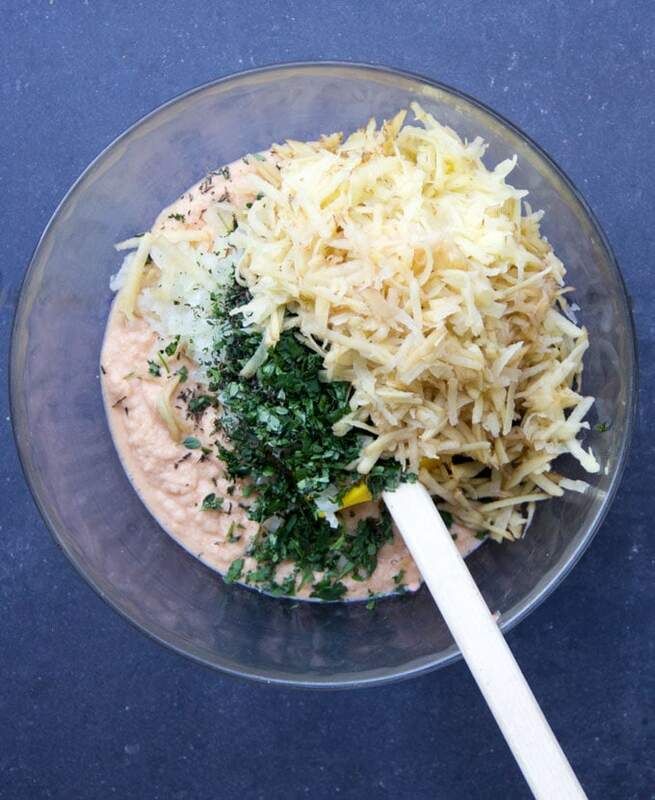 The batter is made from tender red lentils, shredded potatoes, herbs and chilies. The pancakes are cooked in a special pan that forms them into golden brown spheres that are crisp on the outside, fluffy and tender inside. 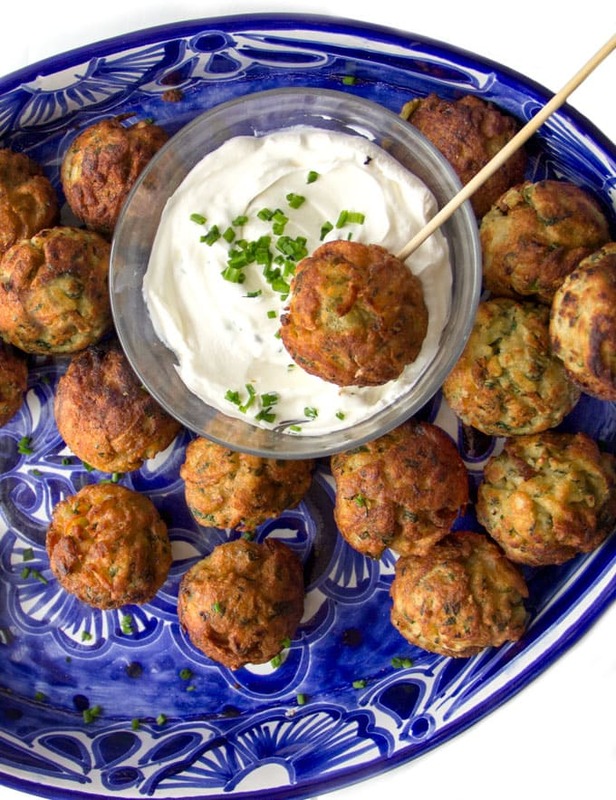 Serve these scrumptious bites as a party appetizer or a game day snack. As a bonus, these potato aebleskivers are gluten-free, dairy-free, and egg-free. Some foods are made for special occasions. Aebleskivers make the occasion feel special. They’re festive and delicious, and the fun starts with cooking them. It’s a magical process that turns batter into balls. If you’ve never run into Aebleskivers before, here’s a little background. Aebleskivers (also called Ebelskivers) are spherical pancakes, invented in Denmark, and still popular there, especially around the Christmas holidays. 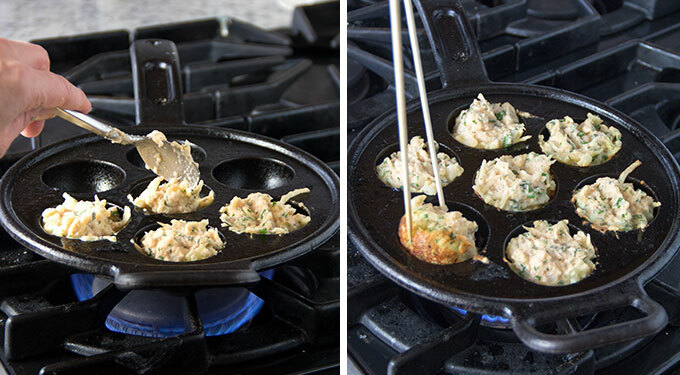 They’re cooked in a special Aebleskiver Pan, usually cast-iron, with half-sphere indentations. Traditional Danish aebleskivers are made with batter similar to what we all use to make breakfast pancakes. (more on this kind of aebleskiver later). This recipe for savory potato aebleskivers is new and different and not from Denmark. This recipe comes from the new cookbook “Smashed, Mashed, Boiled and Baked – And Fried Too! : A Celebration of Potatoes in 75 Irresistible Recipes,” by James Beard award-winning chef Raghavan Iyer. Fellow potato enthusiasts, you will love this book! It has so many creative and tempting spud-centric recipes: soups, salads, gratins, stews, and even delicious potato desserts! I was given two copies of the book, one for me and one to give away. At the end of this post I’ll tell you how to enter the giveaway. First, I want to tell you more about savory potato aebleskivers and show you how to make them. The ingredients in this recipe are all fresh, healthy and vegetarian: potatoes, lentils, Serrano chilies, ginger root, thyme and cilantro. Soak the lentils in warm water for an hour. Drain and puree them in a blender with the chilies and ginger. This method of pureeing the lentils to make flourless, eggless, dairy-free batter is genius! Scrub the potatoes, grate them, and stir them into the lentil batter along with chopped onion, fresh cilantro and thyme. Heat up your aebleskiver pan and add oil to each indentation. Spoon batter into the indentations and wait a minute or so to let the underside of each aebleskiver brown. You’ll need something long and pointy to maneuver and finesse the dough as it cooks. Two long wooden skewers or two knitting needles work perfectly. Gently poke the tips of the skewers into the browned edges of an aebleskiver and turn it with a twisting motion, to rotate the browned part up and out of the indentation, allowing some of the raw batter to fall in and brown. Keep rotating each aebleskiver in small increments until they are spherical and golden brown on all sides. Once you own an aebleskiver pan, I bet you’ll be cooking up these delicious potato treats for lots of occasions. And I hope you’ll also try this recipe for traditional aebleskivers. You can stuff them with chocolate or jam and dust them with powdered sugar. They’re great for a special breakfast or a festive dessert. When you make aebleskivers, I suggest you have a few extra pairs of skewers on hand so your kids or your friends can get in on the cooking. Once someone sees the magic of aebleskivers being prepared, they won’t be able to resist getting involved. 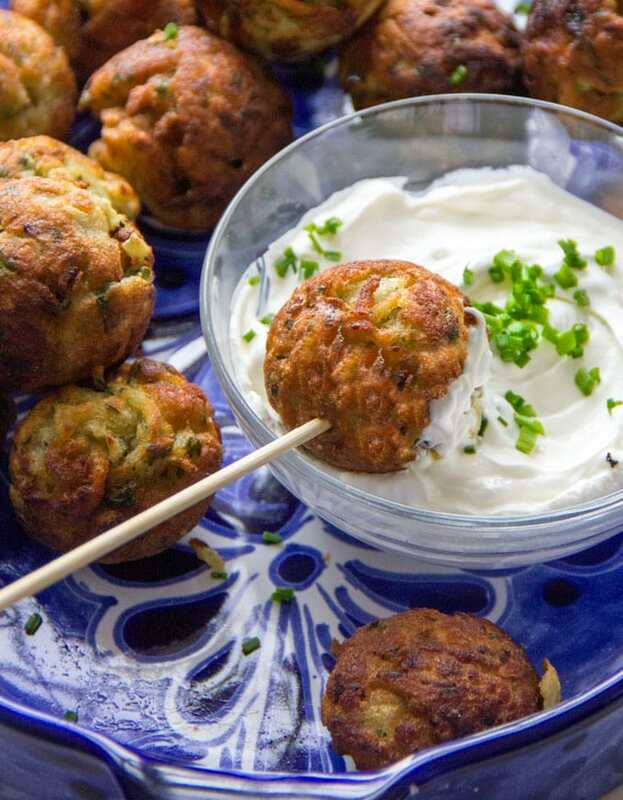 Enjoy these delicious potato balls on their own or with your favorite dipping sauce. I included the recipe for Creamy Lemon Dipping Sauce – one of my favorites. Raghavan Iyer suggests you can use something as simple as sour cream with a pinch of salt and some coarsely cracked black peppercorns. 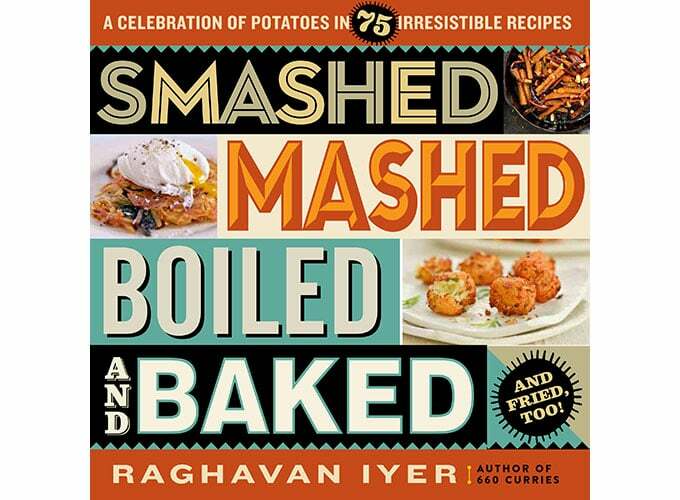 Follow the rules of the Rafflecopter giveaway below, to enter to win a copy of RAGHAVAN IYER’S COOKBOOK: “SMASHED, MASHED, BOILED AND BAKED.” Scroll down for the Savory Potato Aebleskivers Recipe! 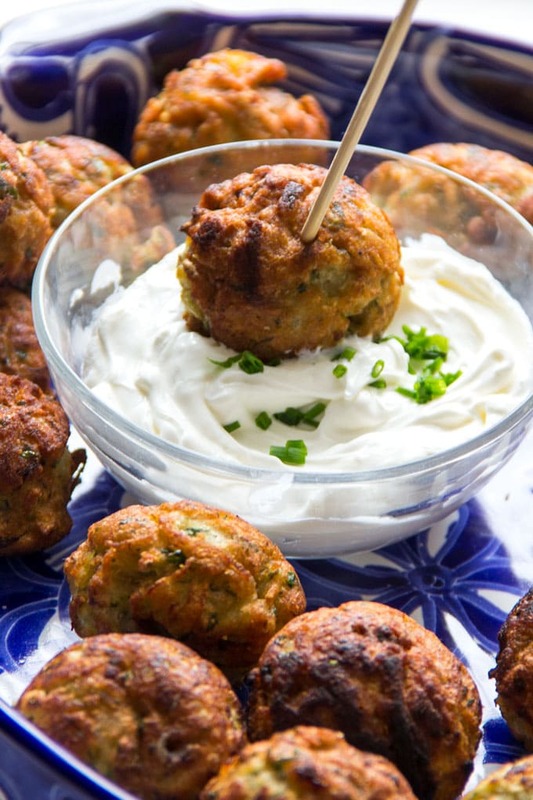 Here’s the recipe for Savory Potato Aeblesivers. I hope you enjoy this unique and delicious recipe. If you make these aebleskivers, I hope you’ll come back to let me know how they turned out! 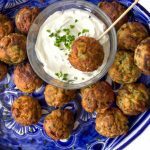 These make a great appetizer with the lemony dipping sauce ( included ) or any dipping sauce of your choice. Pour the lentils into a medium-size bowl. Cover them with cold water. Agitate them with your fingertips to rinse off any surface dust. Drain off this water. Repeat once or twice more. Cover the lentils with warm water and allow them to soak for about 1 hour. Drain the lentils in a colander. 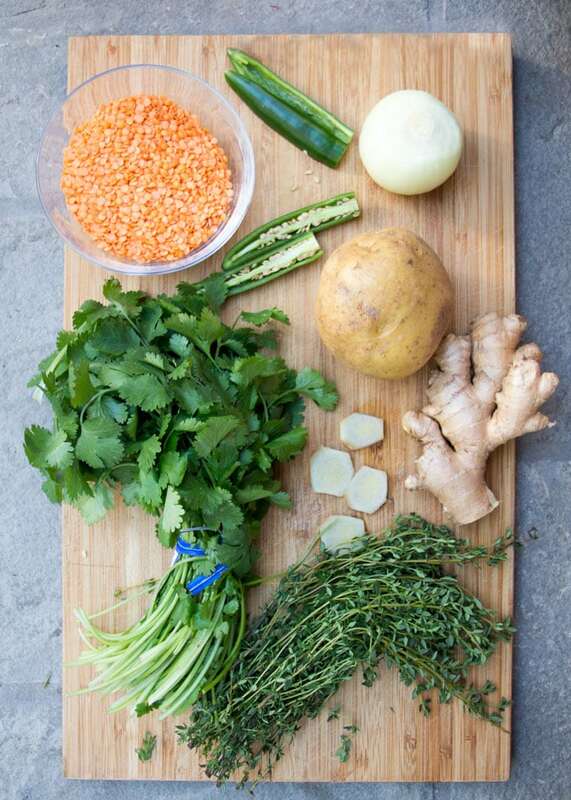 Pour 1/2 cup of warm water into a blender jar followed by the lentils, chiles, and ginger. Puree to a smooth light-pink batter speckled with green and brown from the chiles and ginger, scraping the inside of the jar as needed. Scrape this into the bowl you soaked the lentils in. Scrub the potatoes under running water. Shred them through the large holes of a box grater, the fine teeth of a mandoline, or the shredding disk of a food processor. 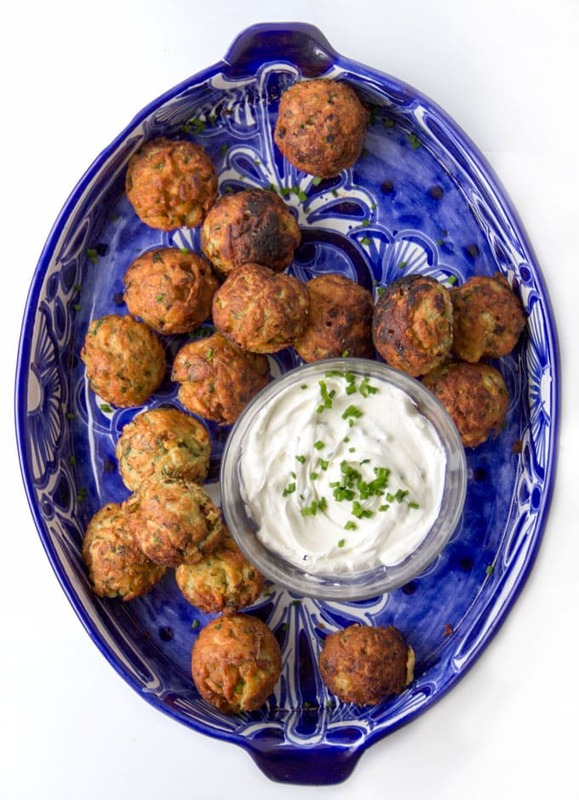 As soon as you finish shredding them, add them to the lentil batter along with the onion, thyme, cilantro, and salt. Vigorously beat the batter in a circular motion with a wooden spoon to incorporate some air (which makes the batter lighter), about 2 minutes. Line a large plate with several layers of paper towels, for draining the cooked aebleskivers of excess oil. Preheat an aebleskiver pan (see Tater Tips) over medium heat. Once the pan is hot, pour 1 teaspoon of oil into each of its indentations. Using 2 teaspoons (the tableware kind—one to scoop, the other to slide it out), spoon a heaping teaspoon of batter into each hole. As the batter cooks and turns reddish brown on the underside, 2 to 4 minutes, use a skewer to loosen it and flip it over. Brown the flipped side as well, 2 to 4 minutes. Tease out the spherical aebleskivers onto the paper towels to drain.Repeat with the remaining batter. Serve warm. Creamy Lemon Dipping Sauce: Combine all of the ingredients in a small bowl and serve. Can be stored, covered, in the fridge for up to 3 days. place the pan in a preheated 400°F oven for 3 minutes to get hot, add a heaping tablespoon of batter, and bake until browned on the underside and ready to be flipped, 2 to 4 minutes. Brown the flipped side for 2 to 4 minutes, remove, and drain the aebleskivers. Enjoy. Aebleskivers are ideally consumed right away, as their crispness dissipates as they sit. But you can rewarm them in a 250°F oven on a wire rack over a cookie sheet for about 10 minutes. I wonder if you could serve these at room temperature for a cocktail party? Annie, you can definitely make these in advance but I suggest warming them up before serving for maximum flavor. Maybe you can cook them and set them on a baking pan covered with foil. Just before your party heat them in a 300 degree F oven for 10 minutes or so covered with foil. Remove the foil for the last minute to crisp them a bit. Pop them into a serving bowl with the dip. If they look like they need extra crisping, turn the oven up to broil for the last minute. If you make them, I’d love to know what you think! I’m literally drooling! These look delicious. I’m going to make them with my daughter this weekend. I’m going to use the mini muffin pan I have. Can’t wait!! I love all potatoes and this cookbook would be a great addition to my cookbook collection and help me find new potato dishes to make. Thanks!! LOVE the vegetarian dishes and I can’t wait to make these! Thank you, Lisa!!!! Any advice if someone in the family doesn’t like cilantro? Substitute or just leave it out? The addition of fresh herbs to the batter is really nice but you can definitely pick another herb besides cilantro. I suggest trying parsley, tarragon or mint or a combination. Oh yes ! Thank you very much. I have the pan but have usually done the sweet version pancakes only. What a pleasant surprise ! Have a nice day and many more great ideas ! I bet they’d be delicious with sweet potatoes! I usually love to make creamy garlic mashed potatoes. These sound so delicious, but I’m reluctant to invest in a special pan for them. Do you think it would work if I made them into patties and fried them in a regular frying pan? Carol, if you go to the recipe, you’ll see that there’s an option for making them in a mini muffin pan, so if you have one of those, you’re all set!